Local patients meet with Dr. Alter at least two times prior to surgery. If the patient lives far away, Dr. Alter will usually telephone consult to discuss surgery and eliminate any misconceptions. 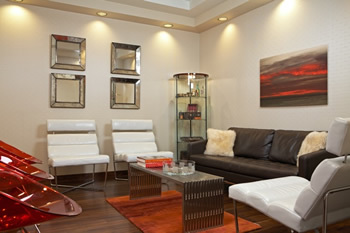 Out-of-town patients preferably meet with Dr. Alter one to two days before any scheduled surgery. 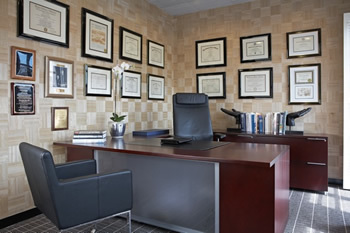 Dr. Alter’s primary office is in the heart of Beverly Hills, California. He recently opened a part-time office in Manhattan in New York City, where he sees consultations and performs minor surgery. All extensive surgeries are performed in California. Major surgery requiring hospitalization is performed at UCLA Medical Center, Cedars-Sinai Medical Center, or Olympia Hospital. Outpatient surgery is performed at an accredited outpatient surgical center. 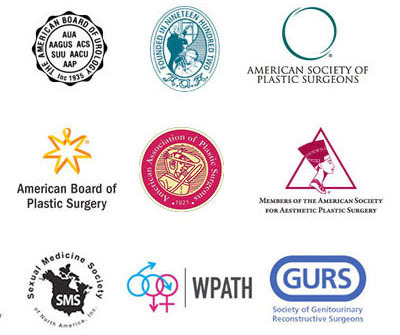 Outpatients spend the night after surgery in a plastic surgery recovery center or at a hotel room with a friend or a trained surgical attendant. Multiple hotels with a wide range of prices are within a short distance of each office. Superb shopping and sight-seeing is available in both Beverly Hills and New York, so friends and family can be entertained during your recovery. The office staff will assist you with any of your needs. Please contact us for more information or an appointment. Phone or E-mail us at your convenience.